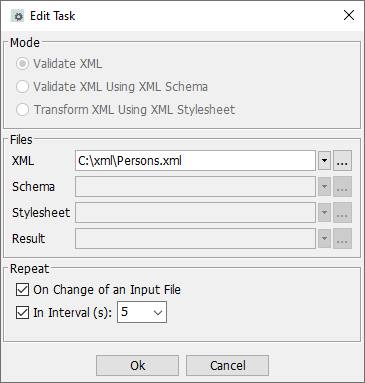 XML Helper is an application to check (well-formed, XML Schema) and transform XML files. The options of automatic execution: If the execution on change of an input file is turned on, the icon "Bell" is activated. If the execution in a time interval is turned on, the Icon "Alarm Clock" is activated. Both triggers are activated/deactivated using the checkbox "Activated". Tasks may be organized in groups, a group contains multiple tasks. The selection list contains the list of groups created. 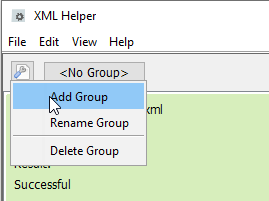 The buttons next to it allows you to add, rename and delete groups. The window "Edit Task" is shown. In "Files" you choose the files affected. For every field the most recent 20 inputs are accessible using the button "Arrow Down". You can also drag-and-drop files from the Windows Explorer© to one of the fields. 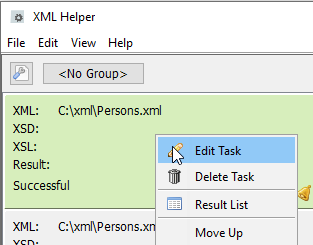 By double clicking on one of the tasks the errors window is opened. Here the times and results of the tasks executions are shown. 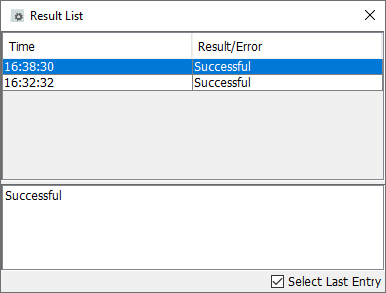 Using the checkbox "Select Last Entry" you specify that after an execution the most recent entry is selected. Hint: On deletion and movement of tasks you may have to close and reopen the error window. 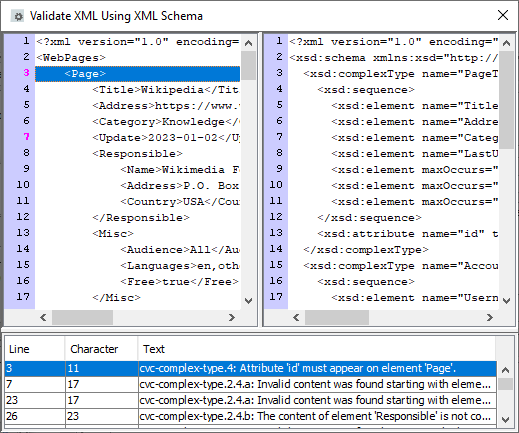 On validation of a XML file against a schema detailed information on errors can be accessed. 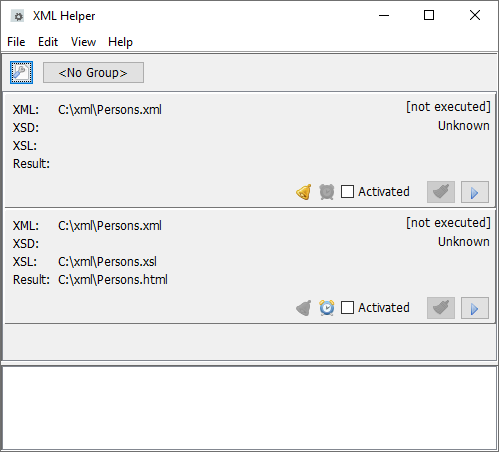 The XML Helper is a 60 days evaluation version. 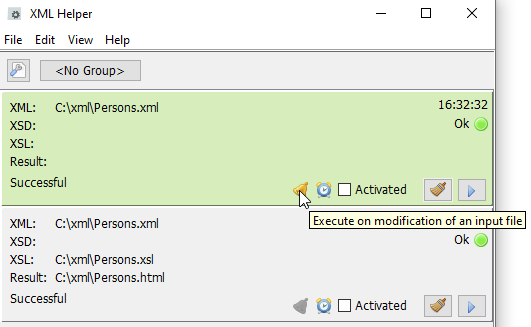 When licensing Easy XML Editor or XML Assistant you will get a XML Helper license for free. XML Helper cannot be licensed separately.